The last time I ate food in Mitchell Lane was back when Tabac was formerly Bar 10. I remember thinking that it was auld man’s pub back then, but what did I know? This was back in my early days of venturing out into Glasgow’s city nightlife where I’d just happy not to get asked for ID when asking for a beer. Fast-forward (many) years later and 10 Mitchell Lane is now Tabac. Visiting now, it’s definitely not the auld man pub that I remember, but at first glance there’s still a diverse mix of clientele. It’s a lot darker and more brooding than I remember too, but I like it. It’s very bohemian, very Brooklyn, New York City. There’s even a wee hidden cocktail bar tucked away in the back that opens at the weekend. But you probably know all of that already. 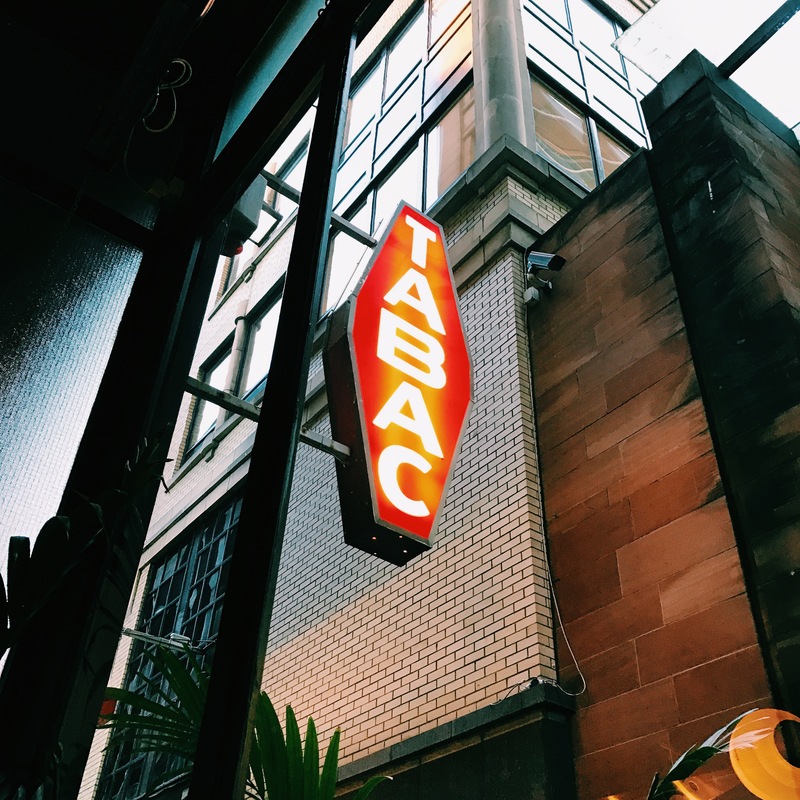 There’s something about Tabac that feels very other-worldly. 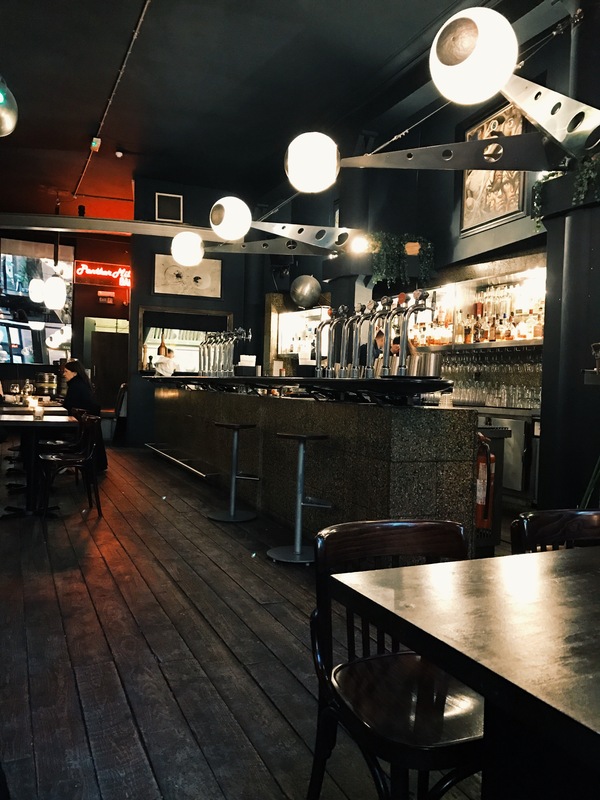 As I was sitting looking at the menu, I kept thinking about how I could imagine bad guys in movies meeting in a bar like this. 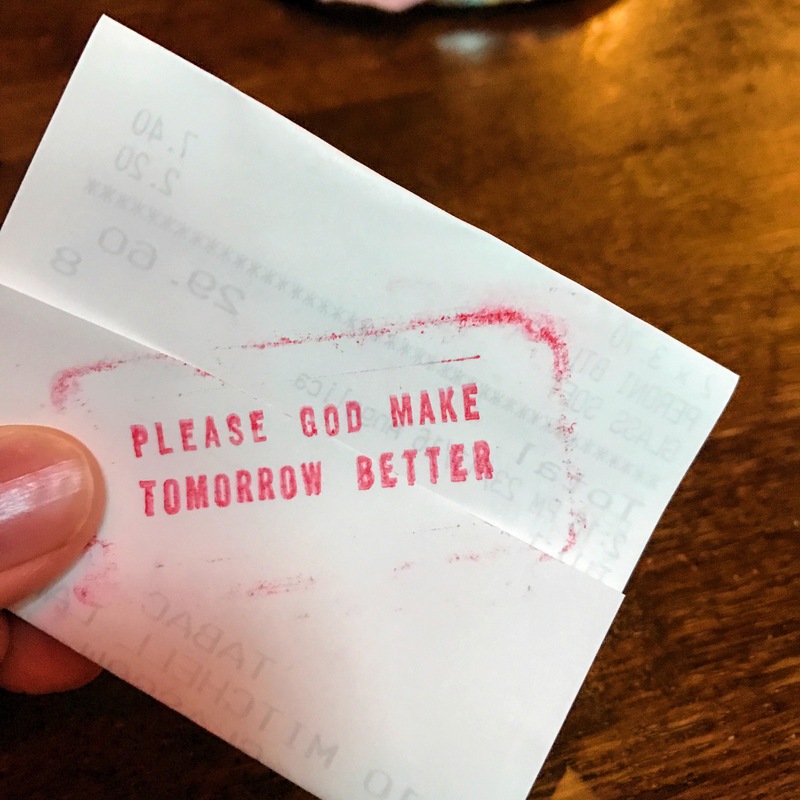 Maybe it was how dark the place was or maybe it was the neon ‘Please God make tomorrow better’ sigh. Or maybe I was just so hungry that my mind was wandering. Either way, I like it. The menu is a nice, simple one-pager but offers a decent range of food. 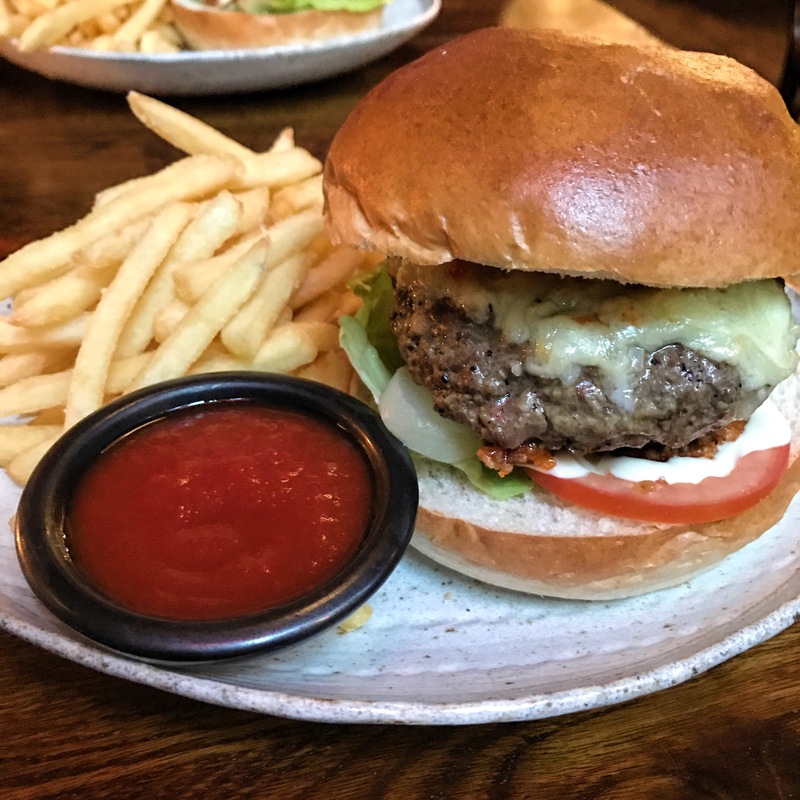 There’s a few burgers, a few pizzas and a few pub classics like mac & cheese and fish & chips. There’s also something called chicken salt fries. I’ve got no idea what they are, but I’d fancy giving them a go. Maybe next time! 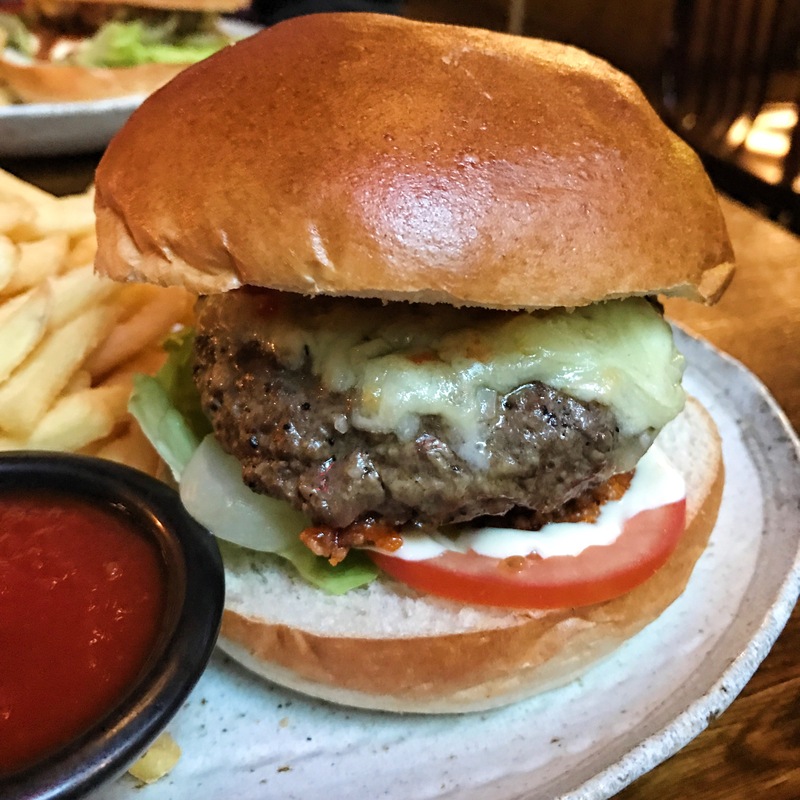 I went for the dry aged beef burger. There’s a few extra topping options available, but I went for it as listed. No nonsense, nothing extra. Patty, cheese, salad and bacon jam on a bun. It came served with skinny fries for £10. Looks-wise, it was decent enough. The patty to bun ratio was a bit off, but the cheese was nicely melted and there was no skimping on the toppings. Taste-wise, it was well seasoned and juicy with a buttery finish. The bacon jam was delicious and really added a whole other dimension to the overall taste of the burger. 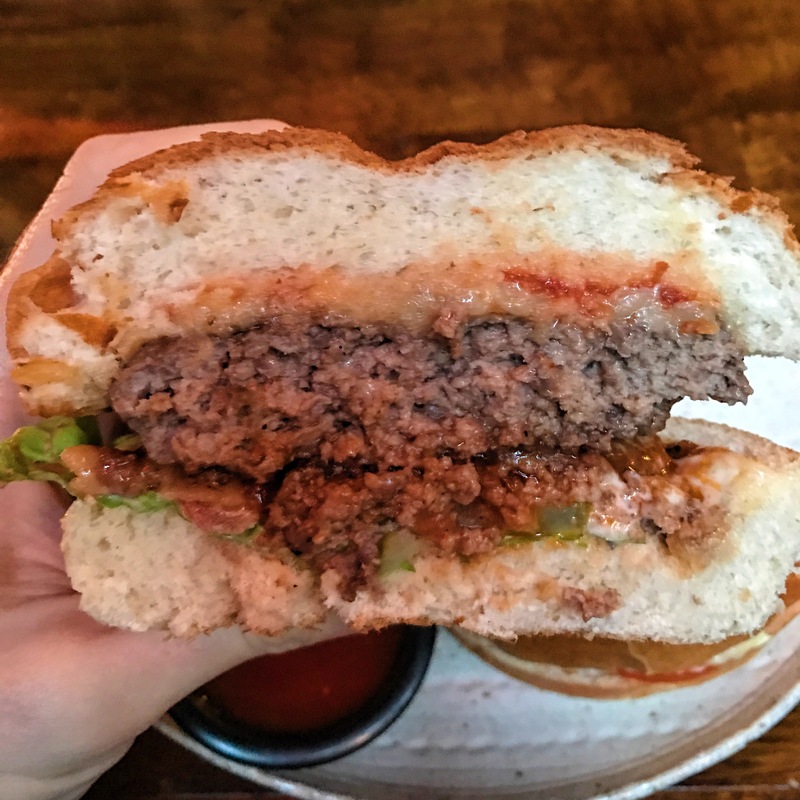 My only issue with this was that because the patty was considerably smaller than the bun, there was a couple of times where I took a bite and it was all bun and salad. The fries were decent if a bit too salty. The bun itself was soft and did a good job of holding everything in perfectly. No soggy bread here. I enjoyed my first Tabac burger. I’m already eyeing the southern fried halloumi one for my next visit! + Poor burger to bun ratio.